DocBook is the ideal framework when it comes to publishing large documentation projects in different formats. DocBook provides a "language" (DocBook XML) and a set of stylesheets to translate this language into different output formats such as HTML, PDF, and ePUB. Getting from the XML sources to a usable output such as PDF, requires several steps such as validating, filtering (profiling), converting images and generating an .fo file. DocBook does not provide a tool chain which lets one easily create output formats. Custom solutions (written with make, ant or a scripting language) are necessary for publishing DocBook projects. That is a major hurdle for writers who would like to use DocBook for their documentation projects. The DocBook Authoring and Publishing Suite (DAPS) fills this gap by providing a tool set for easy creation and publication of DocBook sources on Linux. DAPS lets you create HTML, PDF, EPUB, man pages, and other formats with a single command. It automatically takes care of validating and filtering (profiling) your sources and automatically converts images into a format best suited for the output format. Furthermore one can easily create profiled source tarballs for translation or review. DAPS supports authors by providing linkchecker, validator, spellchecker, and editor macros. It is perfectly suited to manage large documentation projects with multiple authors using the DAPS docmanager. DAPS 1.0 is available from http://daps.sourceforge.net/. It currently supports DocBook4; DocBook 5 support is planned for the next major release. DAPS is a Linux-only solution. 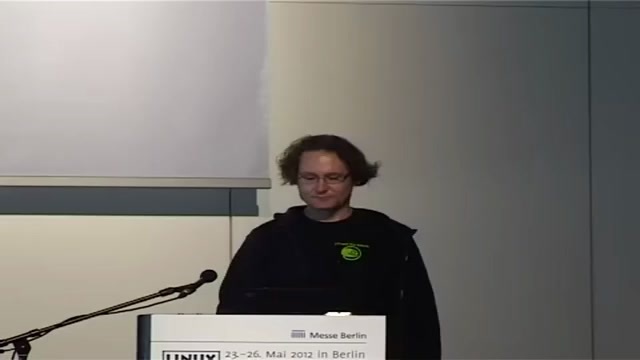 Über den Autor Frank Sundermeyer: I joined SUSE in 1996 as the webmaster. Until suse.com had been integrated into existing Novell servers I was responsible for the larger part of the SUSE webservers, the content management system, and everything else web related. Besides he did several other jobs at SUSE: product management, marketing, presales, ... . Currently I am a technical writer in the SUSE documentation team. I am also maintaining the documentation team's toolchain (DAPS).